Going on a road trip with your pug is the perfect summer getaway! 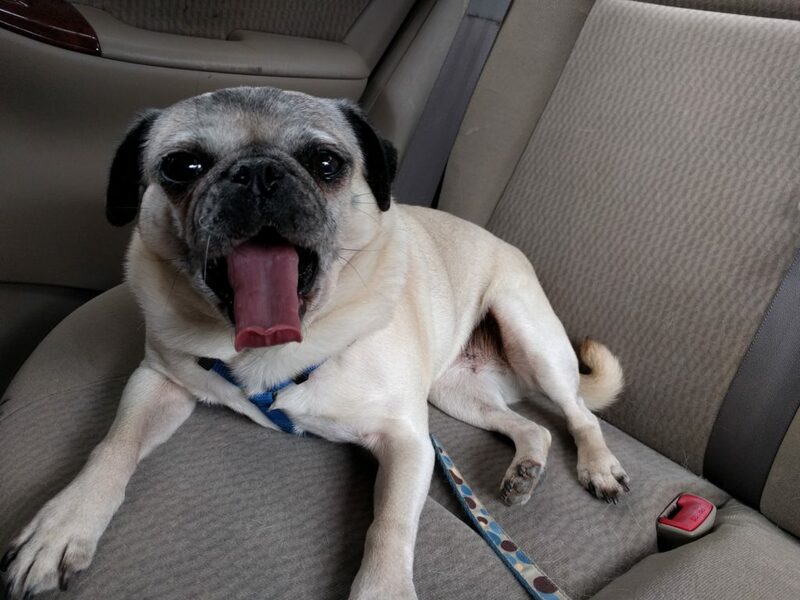 Nickie the pug just hopped in the car to enjoy a day of cruising the streets, and she’s already getting sleepy! I am excited to have joined this group! I have a pug and her name is Puddin. She is 8 months old and she is an absolute joy!! I cannot seem to upload her pic, but will keep working on it.